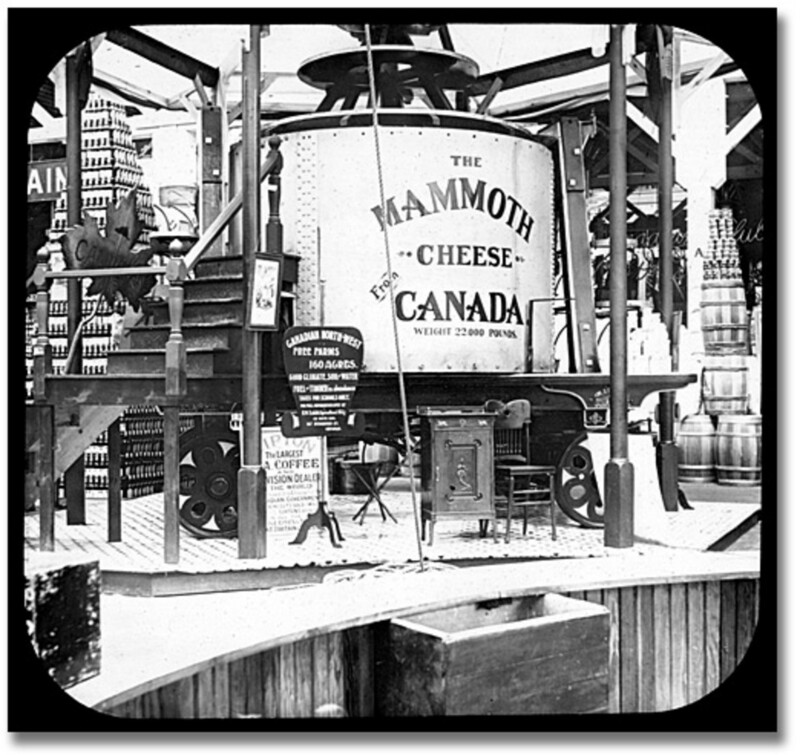 Come and See the Mammoth Cheese! The 1893 World's Fair in Chicago was called the Columbian Exposition and was held to celebrate the "400th Anniversary of Columbus Discovering the New World." Since that time, more accurate researchers have proved that Christopher Columbus did not discover the Western Hemisphere or New World at all. In fact, he was far behind the Native Americans, Scandinavians/Vikings, Hispanics, and other groups. 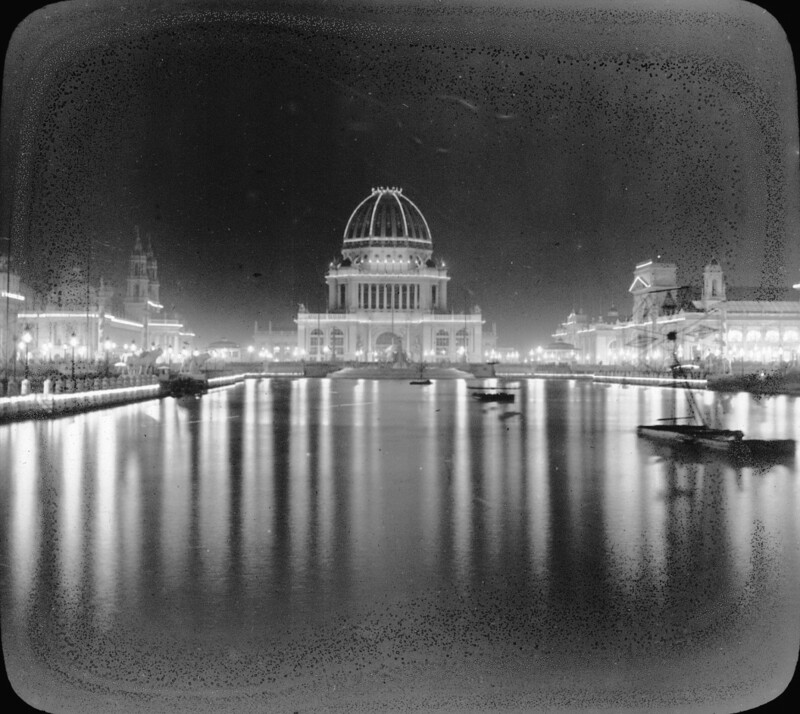 The Columbian Exposition was lit up like an overloaded Christmas Tree, especially at night. Brighter than Coney Island's Luna Park. This was all thanks to Thomas Edison and his staff's development of the electric light bulb and thanks to Tesla's further advancements. Light was everywhere for this fair. 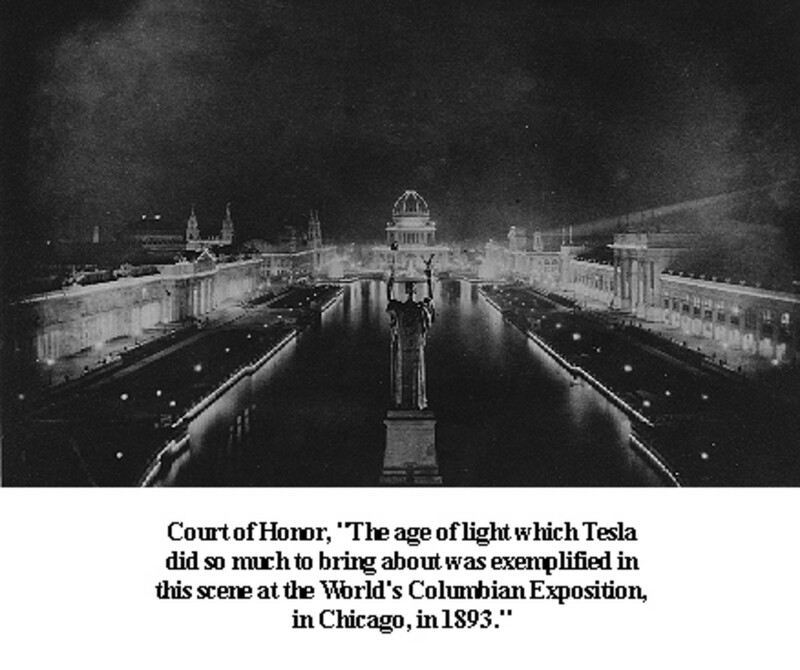 Millions of lights were used, making Chicago the home to The White City, the core of the exposition. PT Barnum said about the fair, "Make it the greatest show in earth!" The Electric Building at the exhibition displayed several large search lights that cut the sky with wide swaths of electric white light each night for six months. This was something new and drew large crowds of visitors to the fair. The War of the Currents at the 1893 World's Fair. 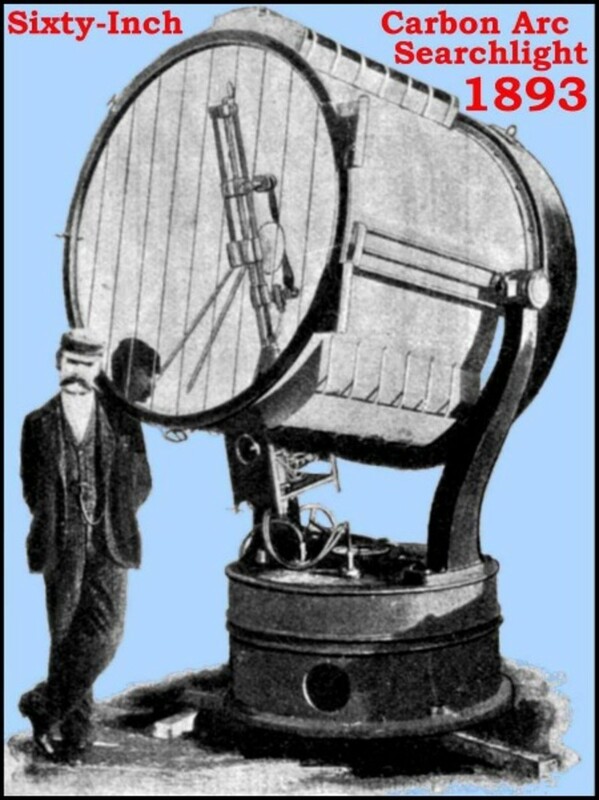 Light Bulb inventor taken over by GE, then underbid by Westinghouse. This author created the All-American style of literature discussed as a need for our nation during the Congress on Literature at he 1893 World's Fair. Dreiser worked the fair as a reporter and used his skills to create enduring stories afterward. This book tells how and why he did it and discusses his stories. The Chicago Exposition hosted a Congress on Literature. In the meetings, Mr. Hamlin Garland talked about America's need in the coming 20th Century for a new genre that he called "veritism" or "local color." He felt that America needed something distinctly American in literature - "All-American", so to speak. The US had had enough of European literature to last them a while, he thought. However, global literature is still studied and enjoyed in American schools in the 21st Century. During the time that the Congress on Literature was held, Theodore Dreiser was working in Chicago to write about the exposition in his job as reporter at the age of 22 for the St. Louis Republic. Dreiser himself did not attend the Congress on Literature, but in the future, Dreiser fulfilled a principal role in creating the style of literature that Hamlin Garland suggested for America. It was a happy coincidence. Invented just prior to the fair. The Fine Arts Building at the Columbian Exposition is the only remaining building still standing on the grounds. 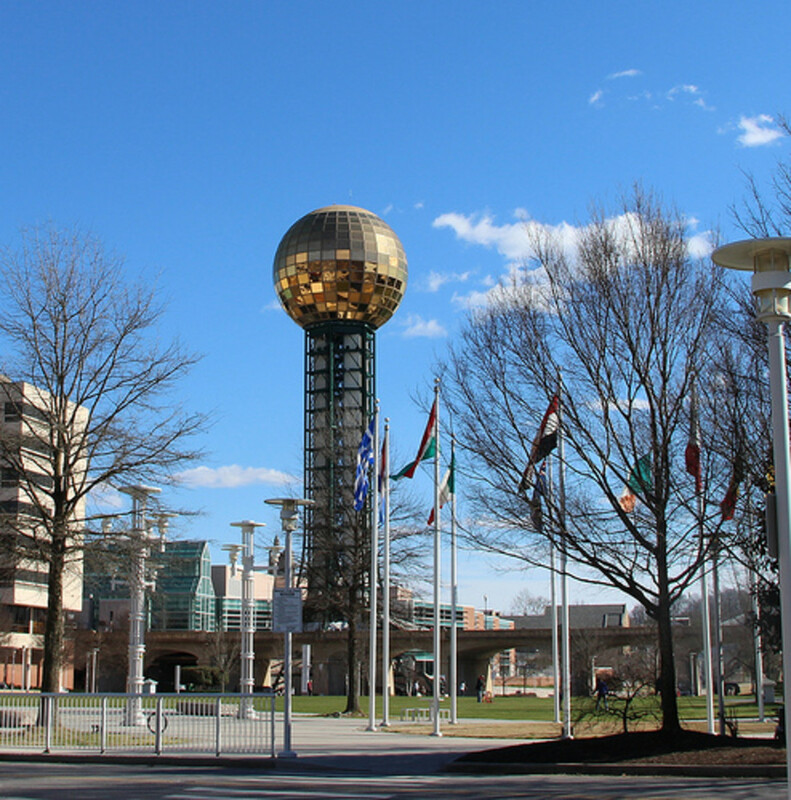 It is now a very popular museum among other museums in this area of the big city. 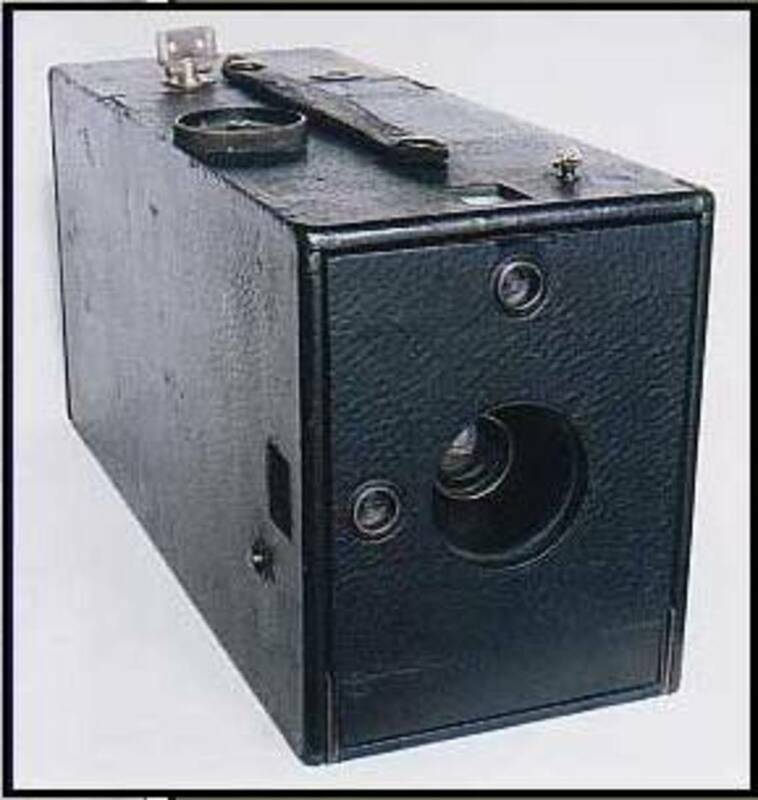 The camera at the right is part of the fine arts, but looked old to me as a child in the 1960s. 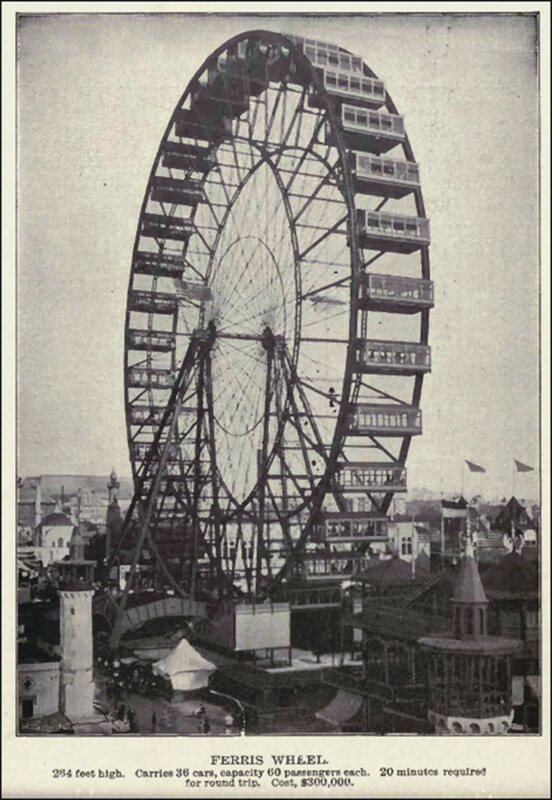 it is ancient by some standards today, but it was brand new in 1892 and during the fair in 1893. 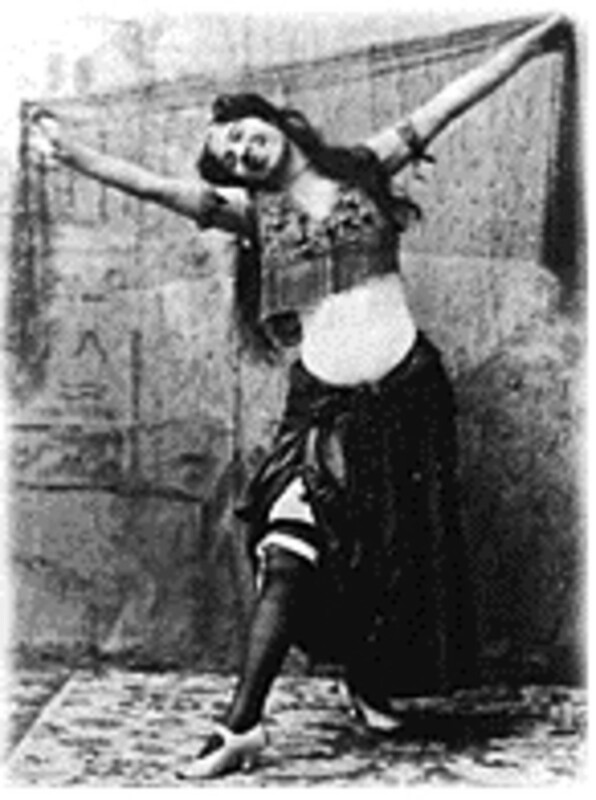 Historians feel that America enjoyed dozens of women calling themselves "Little Egypt" as belly dancers in carnivals and fairs. 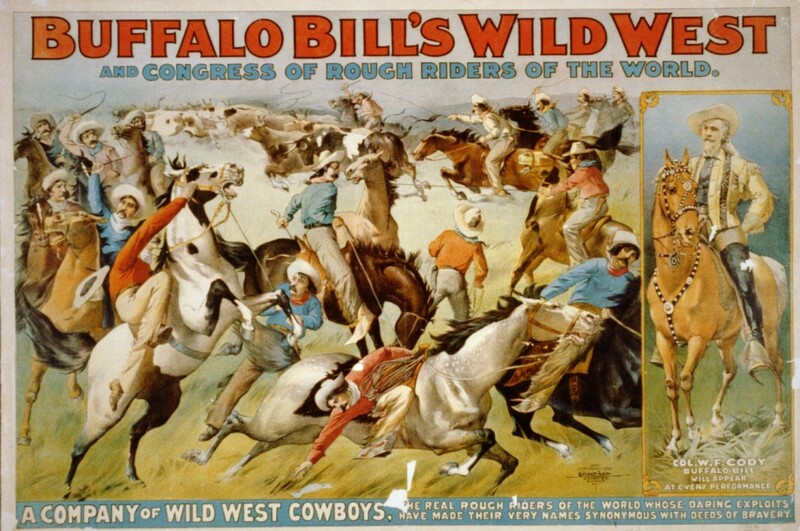 Real Native Americans participated in these types of Wild West shows and earned a living doing so. Such a job was an alternative to some to being forced to live on reservations after the American Civil War. The video below is a book trailer, actually, made to advertise Erik Larson's thriller-novel The Devil in the White City. This is a story is a historical fiction work, but with substantial amounts of real dialogue and facts. However, the author admits in notes and references that the complete work is not fully historically accurate word-for-word and this has created controversy among readers. Still, it is a captivating story and reveals certain aspects of life during the weeks of the Exposition in Chicago. 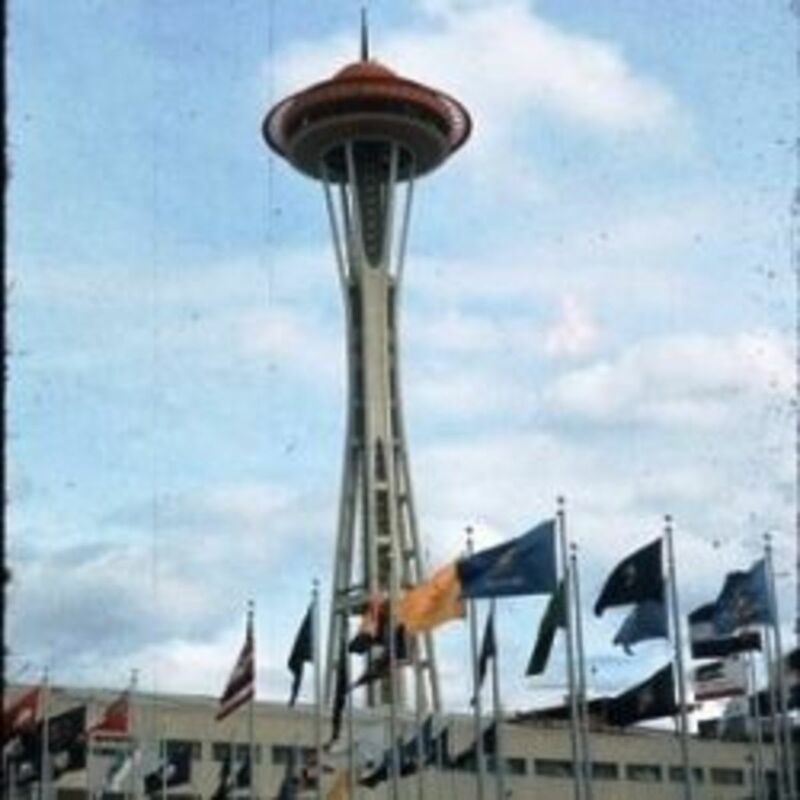 It particularly lets us see into the historical World's Fair and view what was there. The book is based in the true lives of the noted architect that designed the 1893 World's Fair, Daniel Hudson Burnham and the serial killer, H. H. Holmes. 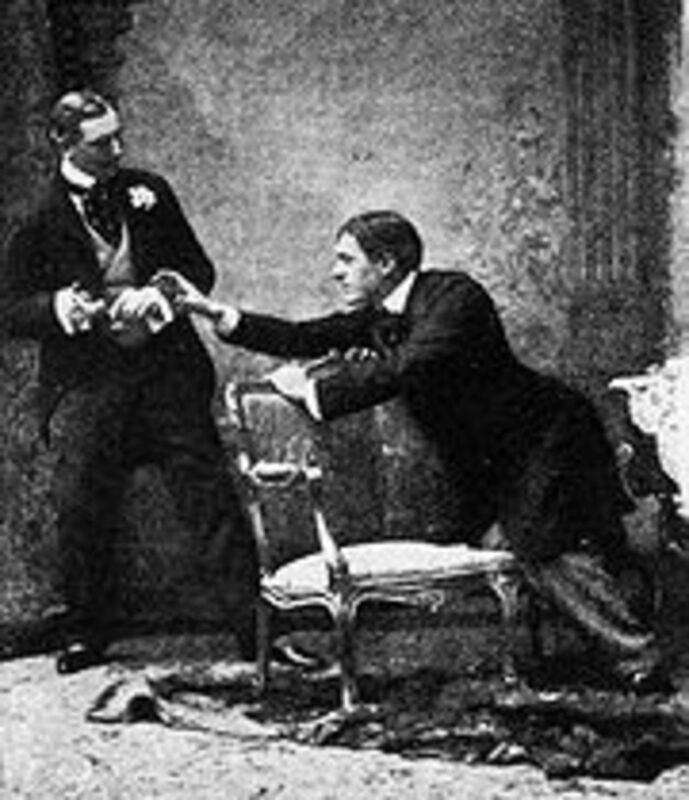 Holmes lured his victims into the fair to kill them. Jesse Steve Hargrave: "We become suspicious that any portion might be the product not of history or even of history as best reconstructed, but of the writer's need to combine otherwise disparate narratives. Only after we have finished does the author, in following Endnotes, admit that he has "re-created" certain events, and he dares us to reconstruct them more authentically. Not only does his confession fail to cover many obviously imagined sections, the approach undermines even those that we were previously prepared to accept as verifiable." -- I agree with Hargrave, but still enjoy the book. Jeffrey Thompson: " The only real connection between the fair and the murders was the coincidence of time and place. 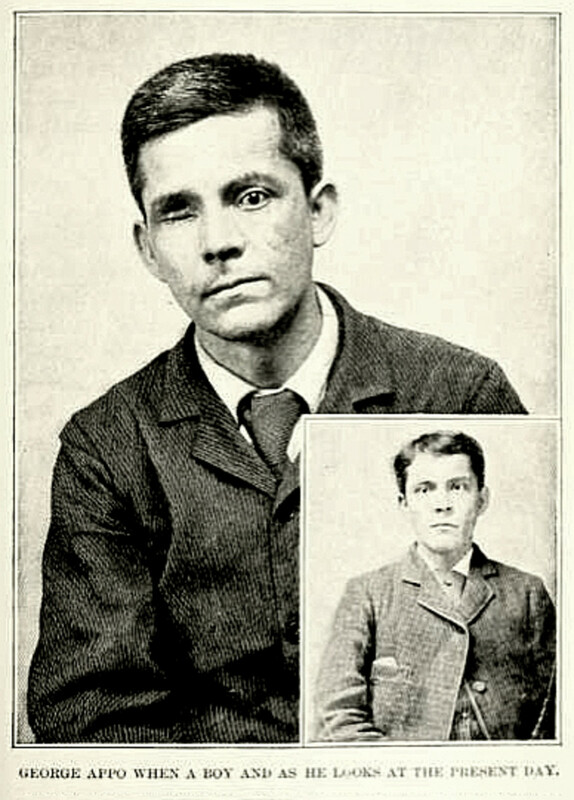 Most of the murders of which Holmes was convicted took place away from Chicago. The plot lines really don't mesh...Another problem, the author tries to relate the murders through the murderer eyes and I don't think it works. You know it is conjecture and it is just distracting." Diane Schirf: "Unfortunately, Larson begins several strands that lead nowhere. After Burnham's partner, John Root, dies, Larson hints that the opium addiction of Burnham's new partner, Charles Atwood, will cause problems later, but never alludes to it again...In his conclusion, Larson omits some interesting details and gets others wrong. 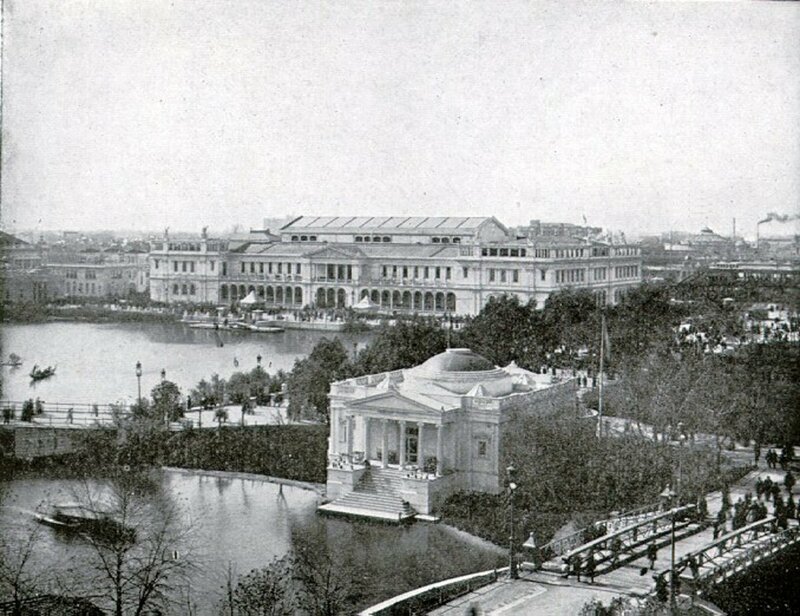 He mentions that the Palace of Fine Arts was transformed into a permanent building, home to the Museum of Science and Industry, but fail to mention that it was designed by Burnham's opium-addicted partner, Charles Atwood. .."
Robbie Jay in Chicago: " While the story of the serial killer may have been more intriguing, the author took A LOT of liberties in speculating what may have happened without telling you as much unless you read the "notes" section at the end of the book. And I in fact disagreed with many of his overly-formulaic comments about psychopathic individuals." Very nice hub. I read the book and it's a terrific story. I've read the book - I'm a professional book reviewer; I don't believe anything written is 100% only-facts and my local libraries, winner of the Best Library in the Country recognition in two recent years, list it as "historical-fiction" and "historical non-fiction" simultaneously. That's good enough for me. Bookstores arrange books in order to gain profit only. Great site...love the information. However, the book The Devil in the White City by Erik Larsen is NOT a work of historical fiction...it is NON-fiction. He states this in the preamble of the book. Larsen has the great talent of writing his books as if they are fiction, but every single one is a work of historical fact, based upon years of careful research. You can only find his books in the non-fiction section of the bookstore. I am fascinated by the World's Fairs of 1893, 1904, and 1933. I went to the Fair in 1982 with friends (Tennessee) and was sorely disappointed. Exhibits and productions advertised and not there, exhibts closed for repairs, poorly trained concessions staff, much too much advertising for future Fairs, etc. Hotel staff extremely rude. HAve not attended another yet. They set a horrible example for workplace behavior to my us, young adults starting out in careers. We learned what NOT to do. 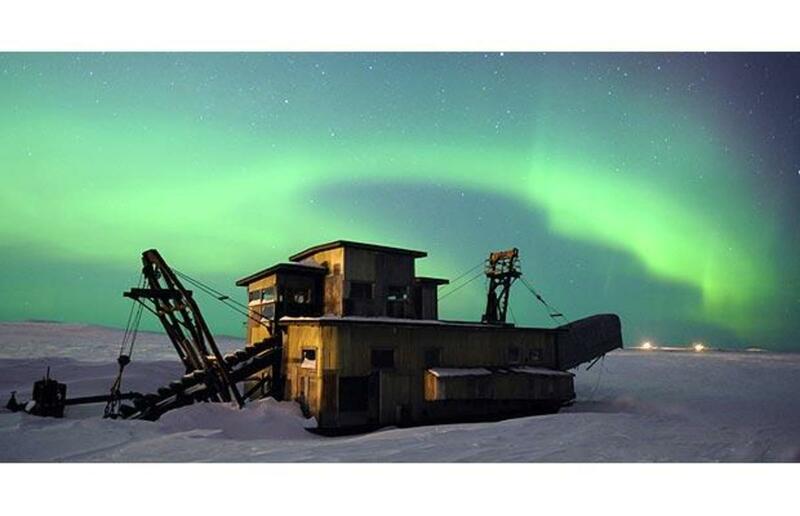 Can you imagine millions of electric light bulbs burning for 6 months? I wonder how many they changed each day?